When Can Multiple Teeth be Replaced by Implants? Dr. Poneh is extremely professional while being friendly and super nice! Are you missing multiple teeth? You may be a candidate for tooth implants. Implants are a special type of tooth restoration that replaces the foundation of the tooth, or the root. 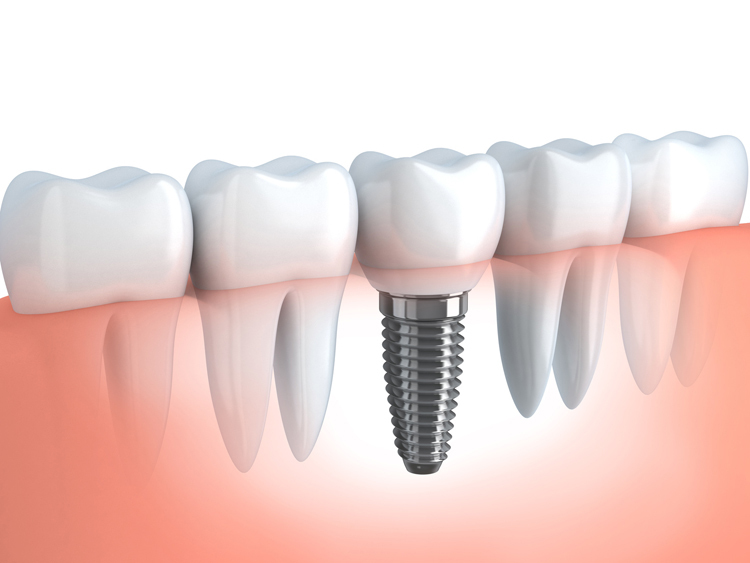 An implant is usually made of titanium, and it has a post or screw-like design so that it fits securely in the jawbone. It is placed during an outpatient surgical procedure, and the bone heals, creating a new foundation for a replacement tooth. Individual teeth are typically replaced using single dental implants that are restored using dental crowns, but multiple teeth can also be replaced using dental implants. Multiple implants can be restored using bridges or even dentures depending on your needs and the number of missing teeth. The implants are placed at specific points in the jawbone for maximum support and strength, and they stabilize your restoration while strengthening the bone. Multiple teeth can be replaced with implants in those who have healthy teeth and gums, adequate bone to support the implants and have no systemic conditions that would interfere with their ability to heal properly. The process can take several visits to complete, including the initial consultation, the treatment planning phase, the placement, the abutment placement and the final restoration. The design of implants allows patients to eat their favorite foods, smile confidently and enjoy a new smile that looks, feels and functions just like their natural smile. Call our office today to learn if implants are right for you or to schedule your appointment with our team.